Hands on History: Catch Gold Fever! “Catch Gold Fever,” will focus on the rush for GOLD that gripped Sacramento in 1849. Miners, from around the world, rushed in and changed California forever. 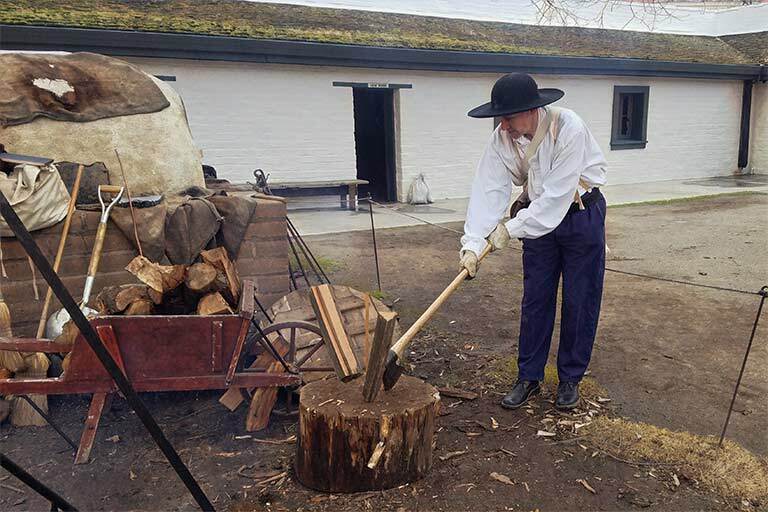 How did the Gold Rush change Sutter’s Fort? Learn the answer to this question, pan for gold, experience a gold rush economy, and explore how the discovery of gold changed California at this fun, family friendly event. The gold discovery Sutter’s mill in Coloma echoed around the world and triggered the largest migration in United States history. Thousands of immigrants gambled and came to early California to try to strike it rich. They left family behind, spent life savings, and borrowed money all in the pursuit of gold. Many miners bought one-way passage on ships bound for California, and abandoned ships clogged the port in San Francisco as miners and sailors took off for the hills. Miners stopped at Sutter’s Fort before they headed for the hills in their quest for gold, and the Fort was often the first place to which they returned for supplies and entertainment. Spend the day enjoying hands-on activities such as gold panning, miners’ camp, games of chance, and money and trade activities where guests learn what it meant to “mine the miners.” In addition, there will be a display of guns and weapons from the Gold Rush era and demonstrations of black powder weaponry in action including the crowd-favorite firing of the Fort’s cannon. Friends of Sutter’s Fort will also be sampling out popular gold rush nugget chocolates and featuring gold rush-related items for sale in the on-site Trade Store so visitors can bring a bit of gold rush history home with them. The ticket cost is $7.00 adults, $5.00 for youth, and children (5 & under) are free. Purchase your ticket at the gate!